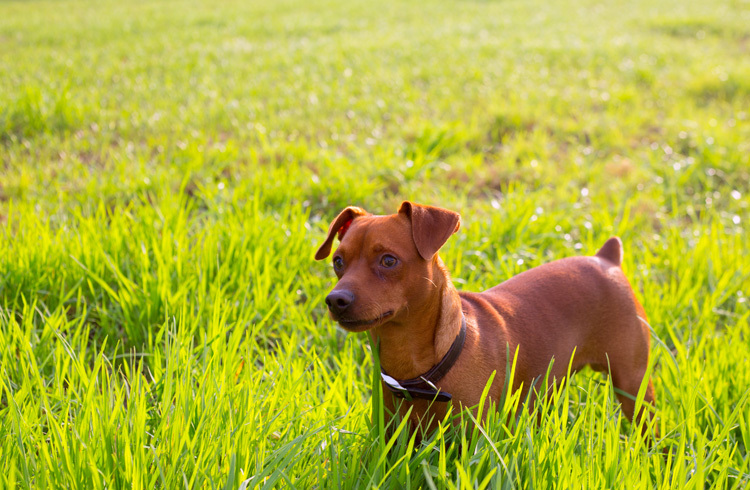 Although miniature in size, your Mini Pinscher certainly brings a huge amount of joy to you. To be a responsible owner of this magnificent breed, make sure you find out how to take the best care of your frisky friend. Have you already taken some time to learn what will ensure a happy and long life of your Min Pin? Do you know how to pamper your energetic little buddy? What can you do to prevent the occurrence of the breed’s most common health issues, like obesity or the periodontal disease? What can provide them with a substantial amount of energy? Proper feeding is the first and the most important step towards your pet’s overall wellbeing. No doubt it deserves special attention. 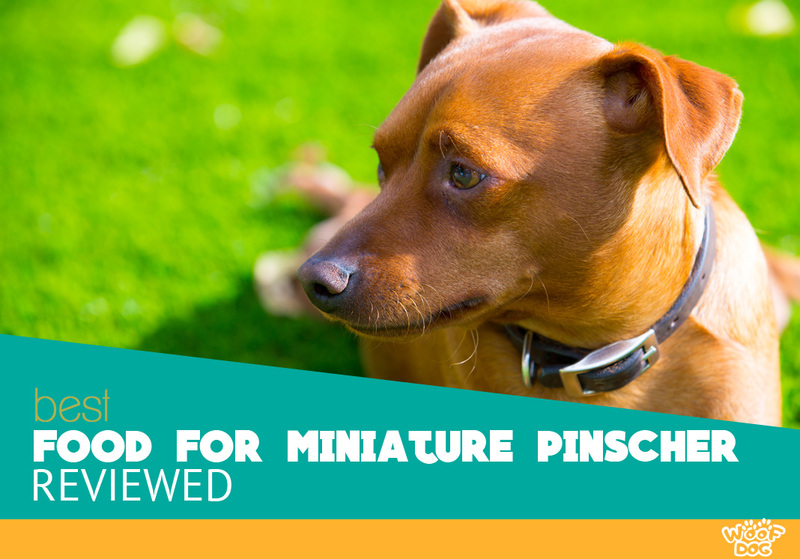 A wide choice of carefully selected best food for Mini Pinscher will help you cater for your pup’s needs. This top-rated grain–free food is a perfect blend of high-quality ingredients. You can be certain that it will meet all the nutritive needs of your Mini Pinscher. It focuses on protein, obtained from real chicken and deboned turkey. The list of useful components it contains is a lengthy one. It includes antioxidants, omega fatty acids, glucosamine, and probiotics. With this outstanding formula, your adult dog will have a perfectly balanced diet. With its savory taste, it will become your canine ’s favorite in no time. Ingredients like glucosamine will keep joints and bones healthy. It will maintain the mobility of this agile breed. Probiotics coating the kibble support the digestive system health, as they sustain the growth of useful bacteria. To avoid allergic reactions or food intolerances, it rules out all potential allergens, as well as artificial ingredients. By choosing Wellness CORE, you can be positive that you will get right to the core of your pet’s wellness. This sophisticated blend of top-class ingredients makes the perfect choice for your energy-driven Min Pin. Your pet will indulge in the taste of this formula based on Northwestern American trout and salmon. Peas, chickpeas, and flaxseed make a great addition for the maximum flavor. Meat-based proteins will provide a reliable source of energy for your energetic little companion. The list of ingredients in this formula is a brief one. By choosing the most reliable, clean and top-quality ones, the possibility of allergies is minimized. Artificial ingredients, as well as soy, corn, wheat, and deary, are not contained in this carefully selected mixture. Elements including essential Omega 3 fatty acids, Niacin, Phosphorus, Selenium, Vitamin B12 will sustain the healthy development of your canine. Zignature Trout & Salmon Meal will undoubtedly make the best choice for picky eaters and gentle tummy pets. Real chicken combined with freeze-dried meet bites is the key feature of this great formula. You can be sure that the daily nutrition and energy needs of your furry friend will be met efficiently. It emphasizes the advantages of raw nutrition and goes for the bet quality cage-free chicken. It will make your active’s pet muscles thrive and its contents of probiotics will boost digestion. Abundant in antioxidants and essential omega fatty acids, it will help your pet’s body eliminate harmful toxins from its body and improve immunity. High contents of protein make the excellent nutritive basis fo the balanced diet of your Mini Pinscher. Your dog’s healthy skin and coat will result from the high levels of omega fatty acids. Potential allergens and artificial colors and preservatives are never included in Instinct Raw Boost. Best ingredients from all around the world are blended together in the USA to create this outstanding formula which will satisfy even the greatest picky eater. The colorful variety of finest ingredients place Now Fresh among the top favorite foods for small breeds adult dogs. Its source of protein, essential for your canine’s healthy development, comes from fresh turkey, and duck. Coconut oil and canola supply optimal contents of omega 3 and 6 oils, beneficial in multiple ways. Plenty of additional types of fruit and vegetables are used in this filling formula. These include spinach, peas, carrots, lentils, sprouts, pumpkin, cranberries, and blueberries. By eliminating grain and gluten, Now Fresh focuses on easily digestible formula unlikely to cause food intolerance in your pup. Well-balanced contents of protein ensure proper nutrition and substantial source of energy for your lively Min Pin. It bolsters the immune system and eases digestion, due to the high presence of prebiotics, probiotics, and antioxidants. 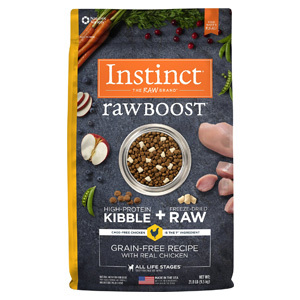 Tasty and nutritious, it will provide a number of benefits to your pup on a holistic level. Carefully selected to cater to the needs of small breed seniors, this high-quality formula is owners’ wisest choice. Real meat, garden veggies, and fruits make the basis for this blend. It is enriched by a special nutritive complex. LifeSource Bits is a specially assembled combination of nutrients, enhanced by Super 7 package of ingredients rich in antioxidants. It features savory deboned chicken. This formula is aimed at providing an appropriately balanced diet for your senior canine. To maintain your pet’s level of activity, this protein-rich formula ensures sufficient levels of carbohydrates, too. Phosphorus, calcium and necessary vitamins sustain the quality of both bones and teeth. Its small-sized kibble is fit for tiny jaws. Blue Buffalo helps bolster the immune system. In addition, it maintains the strength and flexibility of joints. This nutritious formula emphasizes the importance of your furry friend’s overall health. Ingredients unquestionably play the most important role when the choice of dog food is in question. Factors like the quality, origin, purity and nutritive values are what makes a real difference. Dog owners should definitely take some time to consider all these elements. The right choice of food formula provides your pet with the best possible diet. Food labels make a significant source of information on any type of dog food products. Their contents are regulated by a set of laws and provide relevant guidelines when picking a product for your canine. The list of ingredients, net quantity, guaranteed amounts, calorie statement, and feeding directions are what owners usually look out for when buying these formulas. Labels are supposed to provide reliable and valuable bits of information every owner is entitled to know. More than ever before, owners and their pet pups are spoilt for choice by the types of dog food available on the market. Yet, not all types of formulas are suited to all dogs. Small breed owners have to consider carefully the needs, activity levels, nature or any special requirements of their furry friends. Wet or dry, raw, hypoallergenic, low-carb, simple or specialized – it should provide a properly balanced diet. Only this will ensure the overall wellbeing of your canine. Different stages of your puppy’s growth and development call for particular types of food. A vast number of products on the marked are tailored to meet these special needs. High-energy options rich in protein will be an ideal choice for small puppies. A growing dog will be in need of a high amount of energy. Food rich in calories will be an optimal solution here. Adult dogs will stay healthy and have a longer life span if fed by high-quality nutritive formulas. Finally, your aged furry friend will benefit from quality, easily digested formulas that will help in maintaining mobility and energy. Despite their hearty appetite, Min Pins tend to be picky at times. Opting for the best type of formula or switching them can be a challenging task. Here comes some good news. A wide array of flavor, ranging from real poultry to fish leaves owners with numerous options. Sometimes it might take a bit more time to make the best choice. Yet, once it’s done, you will take a lot of pleasure in watching your pup gobble its favorite meal down. Protein tops the list of the most important elements in all small canines’ diet. An extremely high level of activity and endlessly vivid nature of a healthy Min Pin require a protein-rich type of nutrition. Although small in size, its body is strong and mobile. Your Miniature Pinscher is in need of a substantial amount of protein. This should present decisive criteria for picking the most optimal formula. Besides protein and carbohydrates, several other types of nutrients make up a well-balanced diet. Vitamins are responsible for maintaining your pup’s health at a high level. The complex of vitamins including C, E, B6, and B12 is usually present in each formula. Minerals maintain the skeletal system in proper shape. Also, they sustain metabolism and boost the immune system. Fats make the richest source of energy. Useful omega 3 and 6 fatty acids protect the nervous system and internal organs. Excessive use of fats in your dog’s diet triggers a number of health issues. Owners should be familiar with the difference between chicken and its by-products. By definition, by-products are what renders once you remove meat. You should not compare the quality of these to real deboned meat as the source of protein. Products containing a large amount of chicken byproduct are usually more affordable. Still, their nutritive value is considerably lower. However, some pups with tender tummies might find them hard to digest. Miniature Pinschers’ frisky character means this breed requires a good source of energy. You should choose the most suitable type of food according to your pet’s activity level. Owners should serve less than an ounce per a growing puppy’s pound of body weight. There should be three to four portions of food in a day. Nutritive needs diminish with adult dogs. They need about half an ounce per pound. One or two meals a day are sufficient at this life stage. One of the most important concerns for small dog owners is how to avoid food allergies. These can be the result of the intake of most common allergens. They can cause a large number of issues like loose stool, vomiting, itchiness, stomach gasses, skin infections, etc. Picking a type of food which rules out the most common intolerance triggers is crucial. You should avoid products which include ingredients such as grain, gluten, soy, eggs, dairy, corn or artificial flavors and colors. Check out too our list of top rated hypoallergenic dog food (learn more) where you can search for more options. Once your pet gets accustomed to particular commercial formula, it may be difficult to switch to another one. For this reason, it is advisable to offer your pup food which is readily available. You should be likely to buy it at all times in your area. This way, you avoid potential risk and stress of being unable to find your pet’s favorite blend timely. As with any product, how much it costs is one of the central factors when opting for a particular type of food. The price range of small breed formulas is quite wide. How much you have to pay is determined mostly by the quality of ingredients. The cheaper the food, the greater the risk of poor nutritive values. Going for a product which is on a cheaper side may not be the smartest idea. Poorer quality of diet is likely to result in most cases. Known as “The King of Toys”, this small size German breed is not related to Dobermans, despite their similar appearance. They are elegant looking, with a shiny short coat. An average adult dog’s height ranges from 10 inches to 1-foot shoulder tall. Its weight is usually between 8 and 10 pounds. Healthy pup’s life expectancy is from 10 to 14 years. Mini Pinschers are tiny but extremely vigorous and active. They will make affectionate companion dogs for families. Yet, they appear to be less friendly in the company of other dogs. The playful, curious and inquisitive nature is what marks these little bundles of energy. Sometimes stubborn, they can be challenging to train. If you provide them with well-balanced food and enough exercise, you will see them jumping, running and playing joyfully almost all the time. These alert little dynamos will make perfect pets to people with a similar lifestyle – energetic, active and in motion. Despite their small, compact build these dogs are in need of a lot of activity and energy. To develop a healthy and strong body, the diet of a Min Pin should base on proteins from animal sources. Plant-based sources have proved to be less nutritive, although not harmful. Fats and carbohydrates are essential elements of this breed’s diet, too. Fish oil makes the best source of fat, whereas carbs usually come from brown rice, sweet potato, barley or quinoa. An average pup needs around 350 calories per day. Approximately, this rounds off to 44 calories per pound. Overfeeding and too many treats tend to be very harmful to these pups. These canines are not such picky eaters. Because of their hearty appetite, they are likely to accept all kinds of food. They tend to eat and drink rather fast. You will usually see them taking food and water in big gulps. Owners should offer them controlled amounts of food and treats. These should be limited to up to two portions a day. Proper feeding of a Min Pin requires the owner’s careful attention. To avoid packing on pounds, allergies or other health issues, you should carefully control the amount and quality of food. You should feed small, growing pups 3-4 times a day, due to their increased energy needs. Adult and senior canines usually get two meals a day. Treats should be limited and low on calories. The well-balanced diet provided by high-quality dog formulas does not require additional nutrients. For proper feeding of dogs with health issues or other special needs, it is recommendable to seek your vet’s advice.You should make sure a sufficient amount of fresh water is available at all times. To pick the right type of food for their Min Pins, owners need to consider several factors. Nutritive needs differ according to your dog’s age. Good quality specialized food for puppies, adult dogs or seniors will cater to each group’s requirements. You will base your type of food on how active your canine is. Pups spending more time exercising and running outdoors will be in greater need of nutrients. Sensitive digestive system or food allergies are important criteria too. Choose one of these available specialized blends to minimize any health risks and discomforts. More about great dog food for sensitive stomach you can read here. Whatever the set of criteria, a top quality formula will bring about a number of benefits overall. The great appetite of your tiny furry friend might sometimes lead to wrong choices of food. Wrong food results in a pup’s upset stomach, allergic reactions or similar issues. Owners should avoid foods containing common allergens. These include wheat, grains, corn, soy, and dairy. A properly selected blend does not contain artificial colors, flavors, and preservatives. Poultry byproducts should not be confused with real meat, too. Ingredients that should not be offered to your Minis include chocolate, raisins, milk, avocado, garlic, onion or chives. With the help of our infographic discover which foods dogs can eat and which are toxic. Can Food Cause Shedding and Hot Spots in Puppies? The choice of food can be responsible for your pup’s excessive shedding. It sometimes triggers some inflammatory processes, too. Itchy skin can be another result of unsuitable ingredients. It might take some time to realize that there is a cause-and-effect link between them. In such cases, it is advisable to seek the assistance of your vet. The change in dietary habits will probably be necessary. What is The Best Diet For an Overweight Min Pin? This small breed dog is prone to becoming overweight. An excessive number of calories quickly results in extra pounds. It can be extremely harmful to your canine’s overall wellbeing. Along with expert advice from your vet, there is a simple rule to follow. Overweight Min Pins should take in fewer calories than they burn daily. You should strictly control the amount of food per meal. The lower number of carbs is recommended, too. Food should not be accessible at all times but offered up to twice a day. An extra amount of exercise will certainly prove beneficial in helping your furry friend get slimmer and fitter. What Should a Pregnant Mini Pinscher eat? Top quality adult dog formulas provide a substantial source of nutrients for a pregnant female. Proper nutrition plays a vital role in maintaining your female pet’s overall health. It also supports proper developments of puppies. It’s important to be informed about stages of dog pregnancy so you can be up to date with following changes. Variations in appetite may occur around the 3rd week of your female’s pregnancy. Owners sometimes tend to make a mistake by overfeeding a pregnant Min Pin. Excessive fat and weight hamper the general health of an expectant mom. Your life alongside a healthy active Miniature Pinscher will be full of joy, adventure, and mutual affection. This fearless little mischief-maker will charm you easily and make you pamper it forever. You should try to ensure your little buddy’s wellbeing on a holistic level. Attentively planned and selected diet presents the first step towards this goal. As soon as you pick one of the sophisticated top quality food blends, your pup will feel all the advantages of rich nutrition. Proper Exercise, training, and grooming will result in a vigorous, energized and enthusiastic little fellow. There is no doubt – an endless amount of fun is guaranteed!